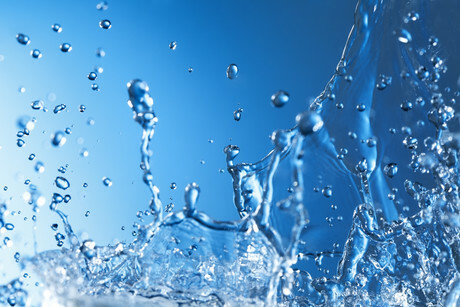 Monash University engineers have created technology that can purify contaminated water, making it fit for consumption faster and more energy efficiently than ever before. Using membranes made from graphene oxide, an atomically thin sheet where every atom is present on the surface and chemically inert so it doesn’t react with other chemicals, the researchers have developed water treatment technology that can be manufactured using gravure printing — a widely available industrial printing process. The technology will directly benefit Australian and international companies seeking energy savings and other cost advantages in water and wastewater filtration and industrial processes associated with pulp and paper, food and beverage, inks, pigments and dyes, pharmaceuticals and metals. “This Australian-made, world-first technology can be easily adapted by industries in everything from drinking water purification, to mining waste treatment, to food and beverage industry applications,” said lead researcher Professor Mainak Majumder, from Monash’s Nanoscale Science and Engineering Laboratory. He said the graphene oxide membrane technology offers an enormous cost advantage to industry due to its ability to reduce energy consumption during water filtration. Dr Sam Martin, who leads Prof Majumder’s membrane development team, said: “The gaps between the sheets are very small, around a one billionth of a metre, and permit only the smallest of molecules to pass, sieving out and rejecting the larger ones. Supported by funding from the Australian Government’s Cooperative Research Centre (CRC) program of approximately $1.2 million, and with investment from industry partners Clean TeQ Holdings and Ionic Industries, the technology is now entering the commercialisation phase after undergoing seven years of research and development. Simon Savage, Managing Director of Ionic Industries, said people across the world will benefit from the technology.